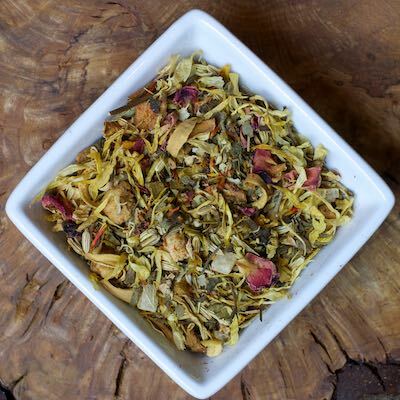 Pineapple, mango, linden blossoms, marigold blossoms and rose make this herbal a wonderful experience for evenings, afternoons, or just about any time! There is no caffeine so its great for all ages too. So far everyone who has tried this tea in the studio has loved it.